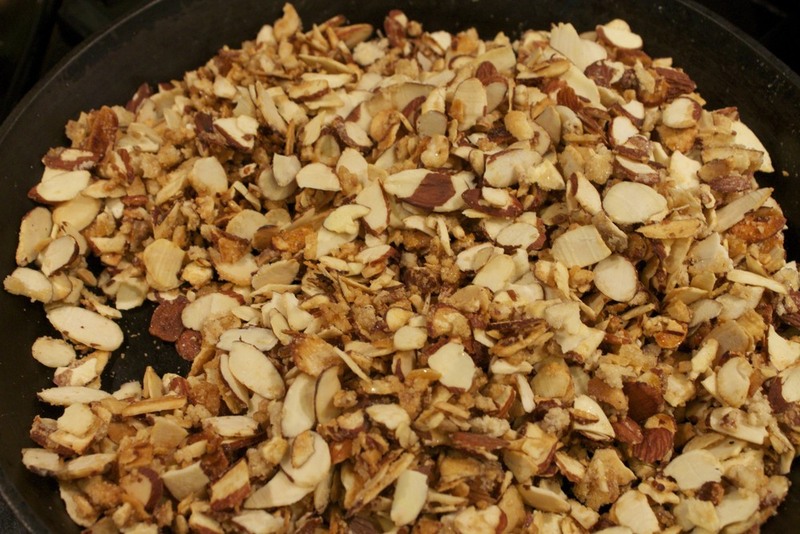 To make the candied almonds, combine the sugar and almonds in saucepan. Stir over medium heat until sugar melts and the almonds start to brown. Spread caramelized almonds on a piece of parchment paper to cool. Combine all ingredients for dressing in a bowl and chill. Just add as much red pepper flakes as you like. I used about 1 tsp. In a large serving bowl, mix the baby spinach and the cut romaine, tossing to combine. Add the drained mandarine oranges and the sliced green onions. Right before you are ready to serve, whisk the dressing to combine, then add the desired amount to the bowl. You won't need all of it, so save the rest for another time. Toss to coat, then sprinkle with the candied almonds. Posted in In The Kitchen and tagged with salad, oranges, almonds, spinach, romaine. May 2, 2013 by Lynn Adams.